​Karim Benzema says that Real Madrid caretaker manager Santiago Solari should remain in charge of Los Blancos for the rest of the season. Solari stepped up from his role as manager of Real Madrid Castilla to take temporary charge following the sacking of Julen Lopetegui, who was dismissed after just 14 games at the helm. In three games under Solari, ​Real Madrid have scored 11 goals and conceded none. 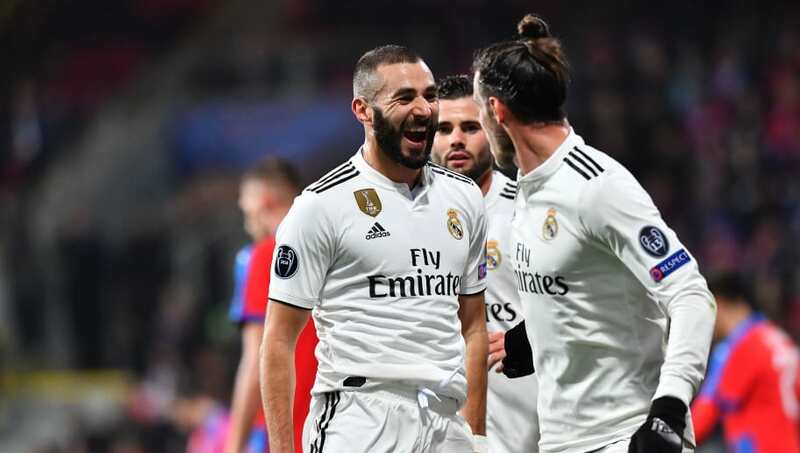 ​Benzema, who scored twice as Los Blancos thrashed Viktoria Plzen in the Champions League on Wednesday, believes Solari deserves a longer audition. "Sure, why not," said Benzema when asked if Solari should stay in charge until the end of the season, as quoted by ​Marca. "I do not see a coach coming for one or two months, for me Solari has to stay until the end of the season, he's a great coach. Now we have more confidence and we are going to compete." Benzema has come in for criticism this season, as he is currently on a run of eight La Liga matches without a goal, but he says that this does not affect him. "It's always the same but I play football to make history and sometimes people do not understand what I do on the field, but it does not hurt anymore. I'm 30 years old, I have children and I do not think about these things anymore," he said. Two more points from their last two group matches will guarantee Real's place in knockout stages of the Champions League for the 22nd consecutive season.